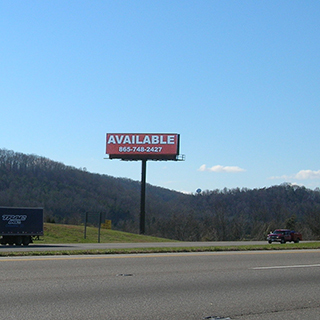 Description: On six-lane I-40, just east of massive Exit 407. A nice reader, close to the road. Get that consumer before their senses are bombarded with tourism chaos!